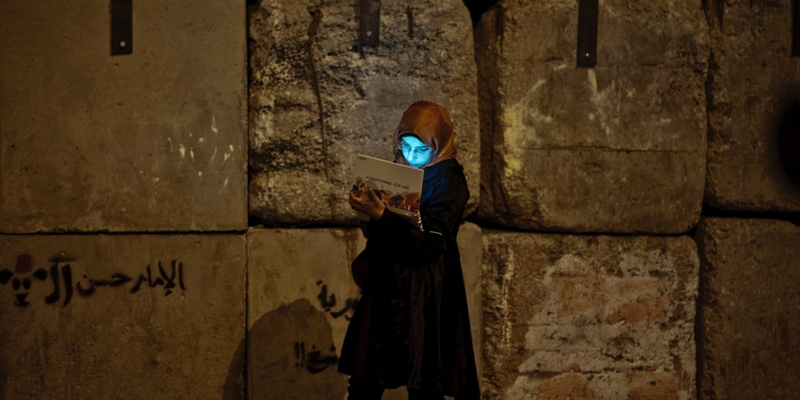 A veiled girl protesting against the Morsi government uses her laptop just further on from the wall supposed to protect the presidential palace in Cairo, Egypt on Dec. 11, 2012. The United States is unprepared to wage an information war against any truly concerted effort. Don’t get me wrong, the Department of State, the Department of Defense, the BBG, USAID, and the White House all have people and offices dedicated to Strategic Communication, Public Diplomacy, or Information Operations. 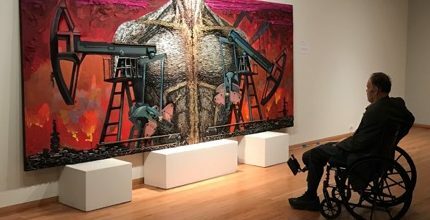 State even has a center devoted to waging information warfare against ISIS, the Intelligence Community wages information war quietly, with no fanfare, no public accountability, and no measures of efficiency. We also have a few civilian efforts to expose data after analysis.